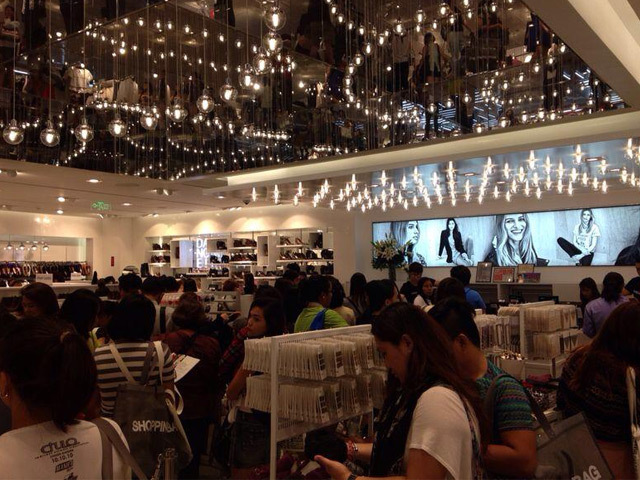 Here's a blow-by-blow account of the happenings at the SM Mega Fashion Hall. Today is the day! 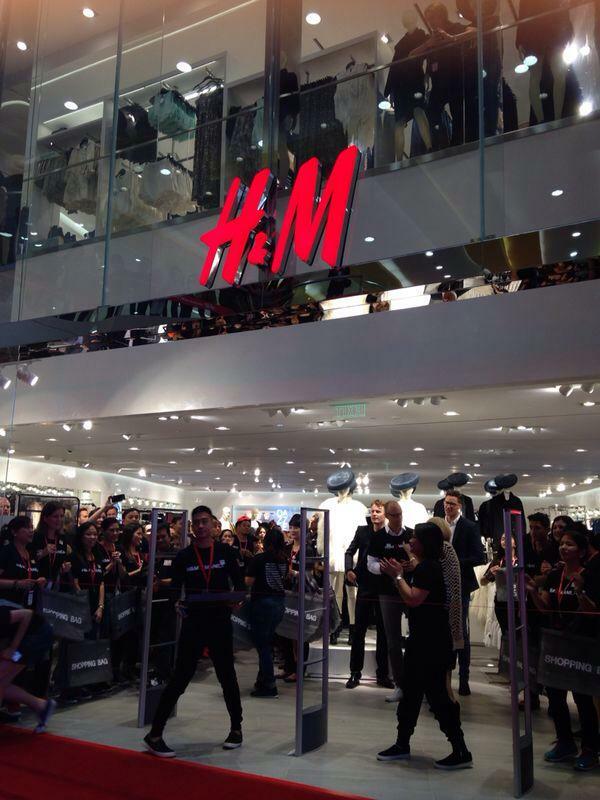 The much awaited opening of H&M Philippines is happening and we have the photos to prove just how excited Filipinos are. 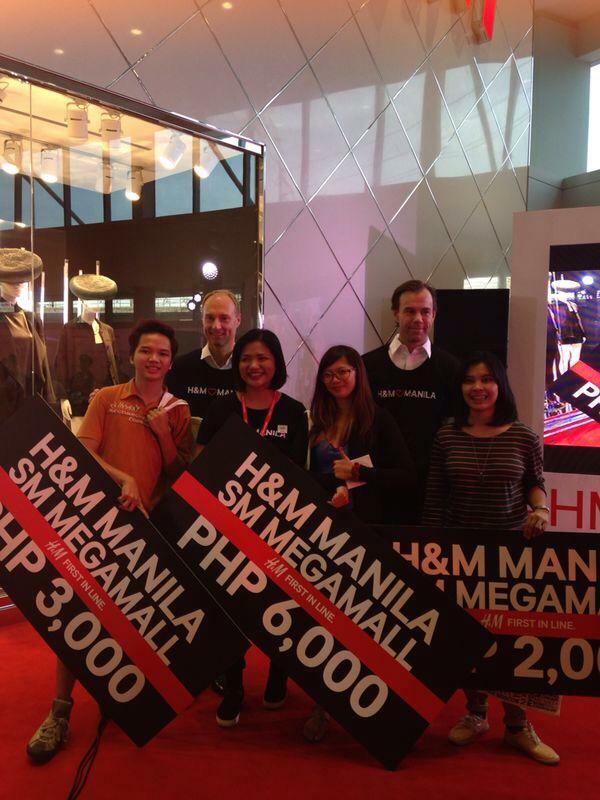 As early as last night, October 16, 2014, fans of the brand have already camped outside the SM Mega Fashion Hall, both because of excitement and the chance to win shopping sprees of up to P6,000! 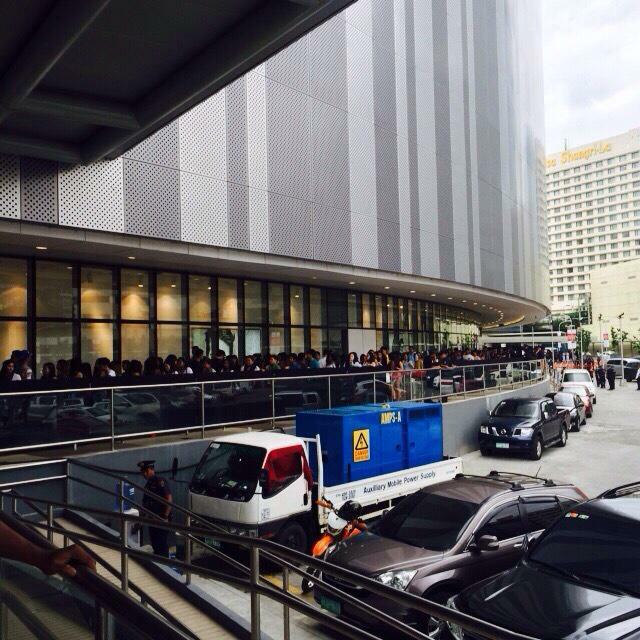 So to those who are planning to troop to the store today and brave the crowd, here's what you can expect. Read on! 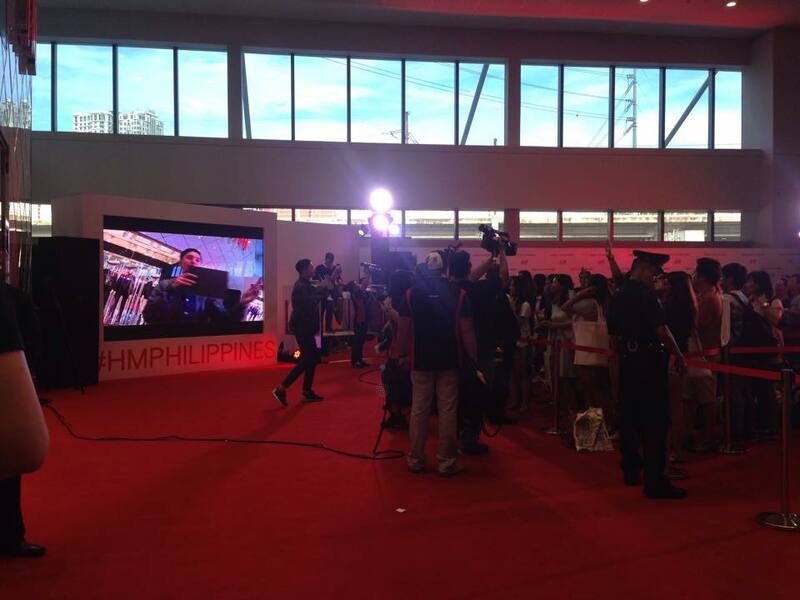 7:58am - The eager crowd was allowed to enter the mall even before its normal opening hours. 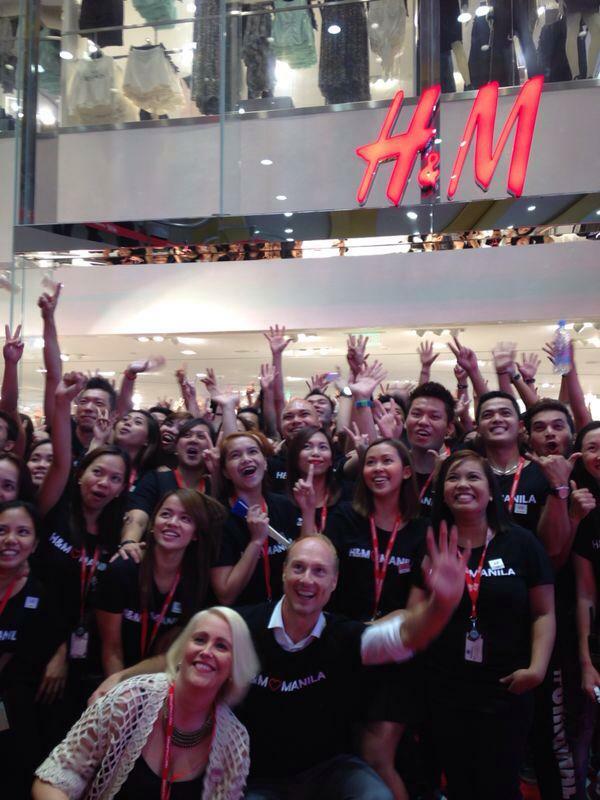 8:00am - They were, of course, welcomed by an equally energized H&M Staff. 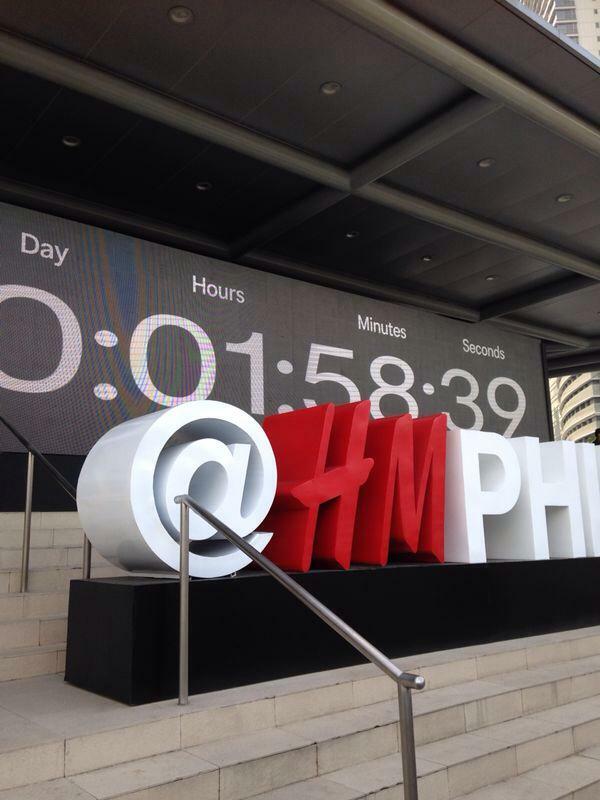 8:02am - Less than two hours before the grand opening, the countdown continued. 8:20am - Chino Lui Pio did the honors of hosting the opening rites. 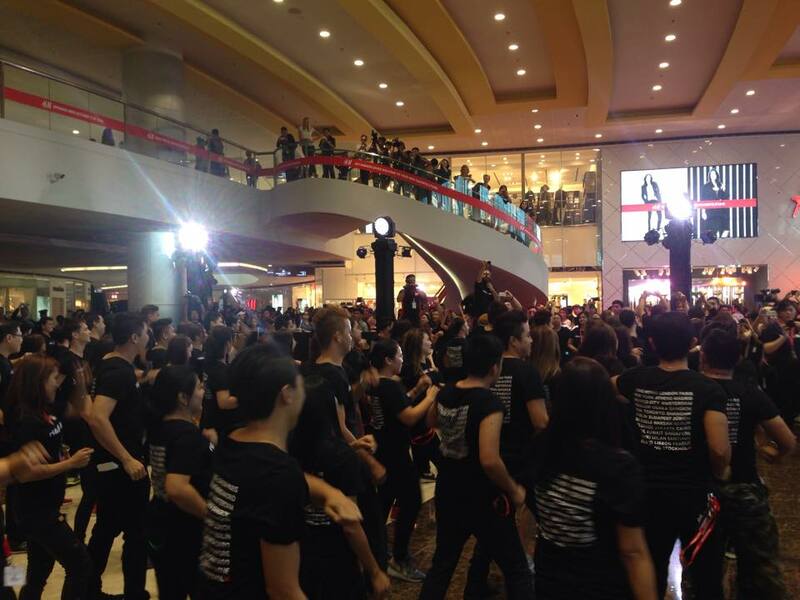 8:30am - The H&M SM Mega Fashion Hall branch staff prepared a dance number! 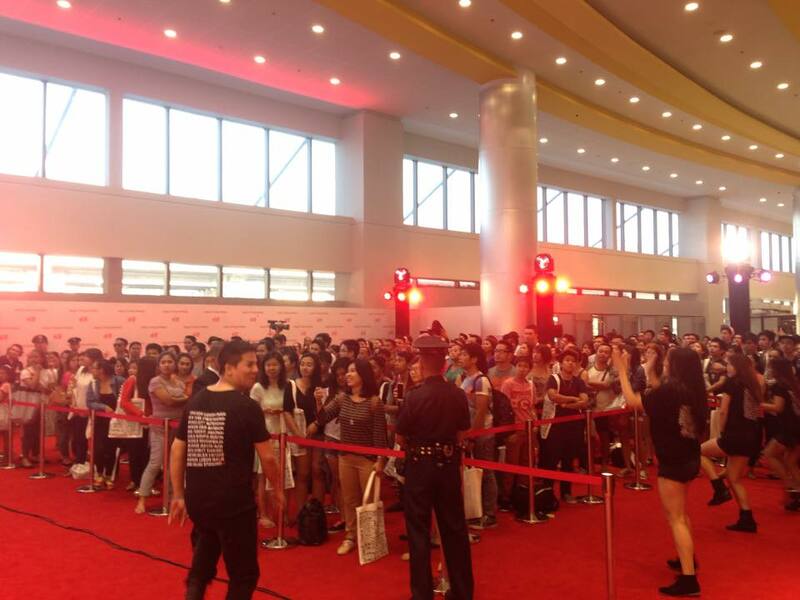 They grooved to the beat of Ariana Grande's Problems and Taylor Swift's Shake It Off. How awesome! 8:45am - The early bird gets the worm. Meet the three winners who stayed up all night just to be first in line. The first two were believed to have been in line since 9am yesterday! 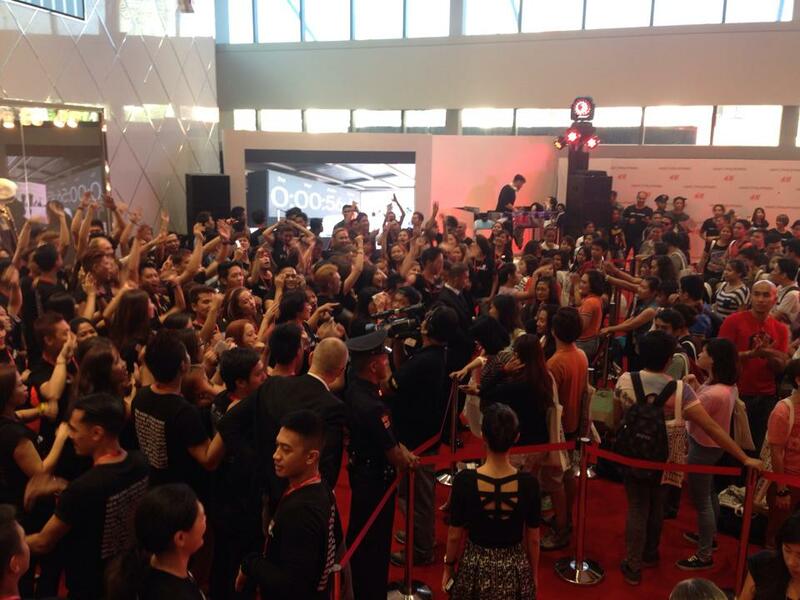 8:50am - A pumped Friday crowd ready to shop their hearts out. 9:05am - Shopping totes ready! The staff is prepared for the mayhem about to take place. Come one, come all! 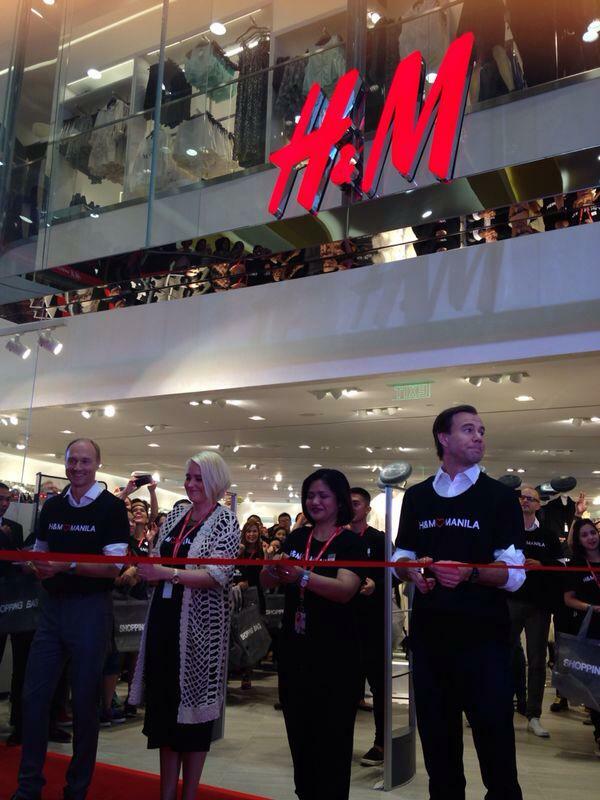 H&M Philippines is now officially open for business. 9:10am - Shopping has commenced! 10:20am- Shoppers at every corner of the store. The long wait is over! 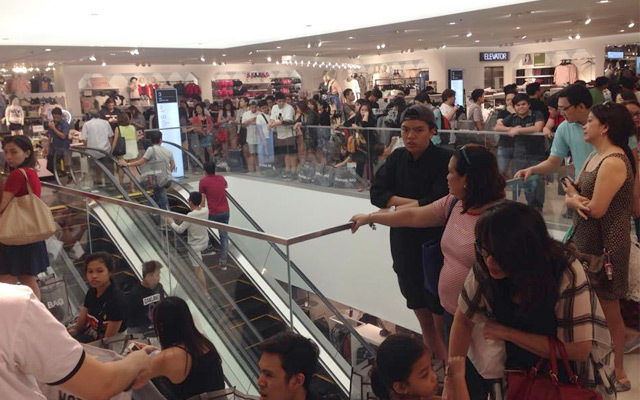 Since last night, these people have been gearing up to do some serious shopping. 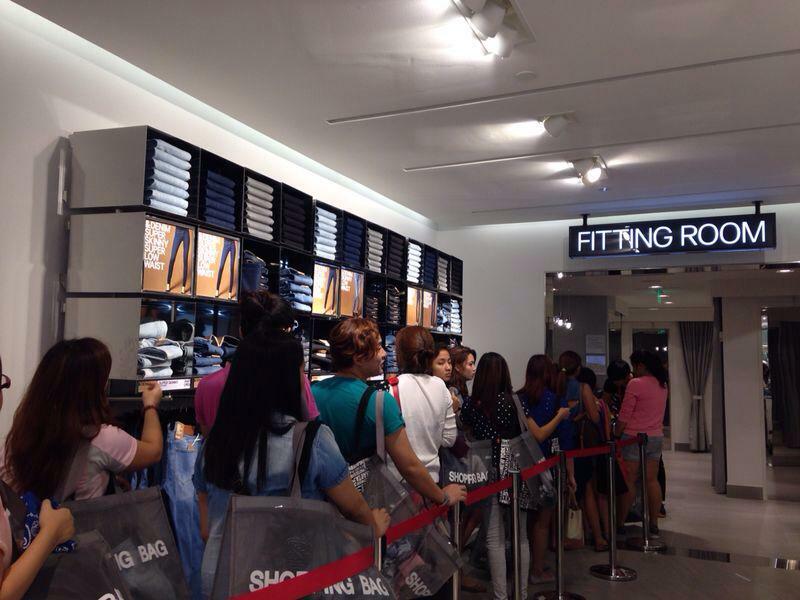 11:53am - Check out that line to the fitting rooms! 12:04pm - Here's the line to the cashier. 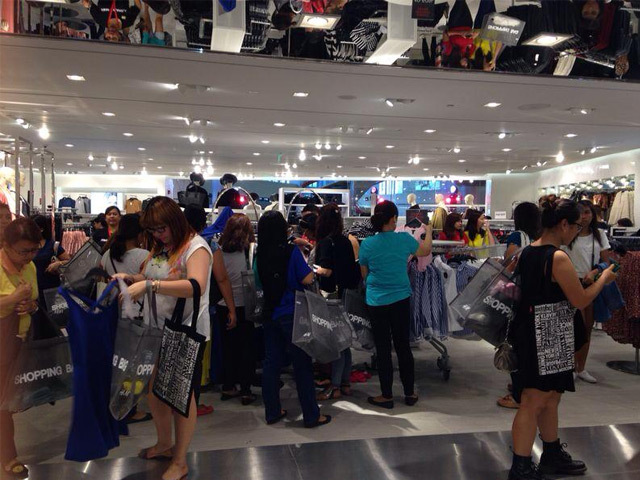 The happy shoppers are ready to bring home their purchases. 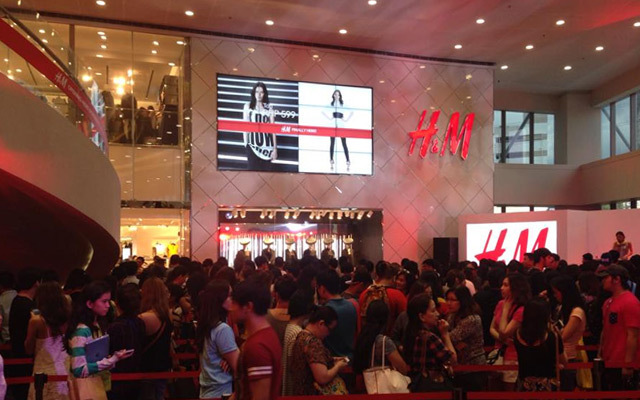 12:44pm - The line to H&M is almost snaking around the perimeter of SM Megamall Building D! Crazy, right? But of course, we can't blame them. 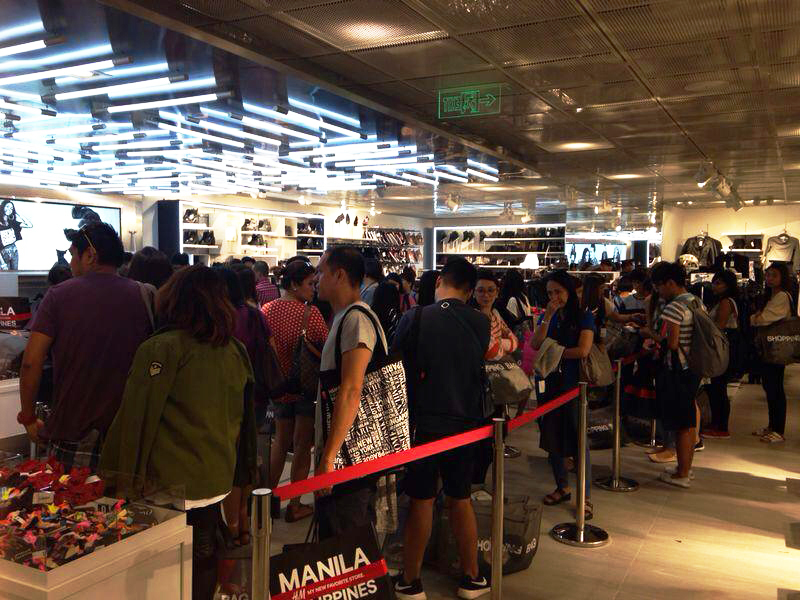 2:45pm - Here's a glimpse of what to expect inside the store. This is on the third floor where the queues for the Kids Department and Menswear Department seem to have no end. 2:50pm - And outside? 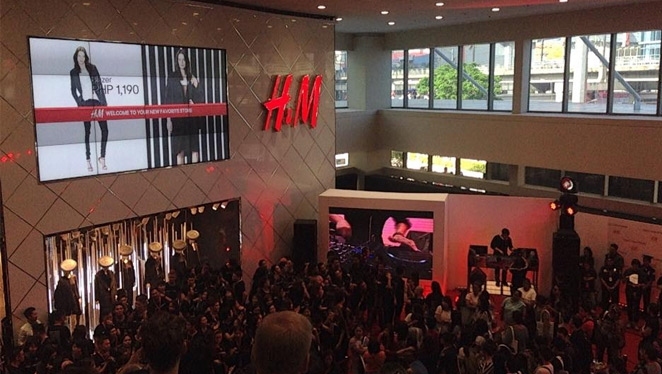 More people eagerly waiting for their turn to shop.